Sometimes we can't prevent what happens to the skin. Hormonal growth and various external factors become issues that trigger various skin problems. The most common thing we face is the appearance of black spots or spots of acne scars. Are you including the owner of skin that is prone to black spots? It's true, technological developments in the beauty world make it easier for us to do various skin treatments instantly. The most obvious example is laser or PRP (Vampire Facial) treatment that uses our own blood as a serum that revitalizes the skin and removes acne scars. However, don't worry, there are many ways to get rid of acne scars that you can do at home without having to pay a lot of money. Many of us are very lazy to use sunscreen. In fact, this is the first step to prevent black spots. Practically, you can apply ULTIMA II Clear White Supreme Protective Day Lotion SPF30 PA +++. This morning moisturizer is equipped with SPF 30 PA +++ which makes it easy for you to apply it without a double layer with sunscreen. This moisturizer has a light texture and does not feel sticky. As well as providing face protection from UVA and UVB rays. The ingredients of the formula, SEPICALM ™, and SEPIWHITE ™ MSH in it effectively make the skin look bright, and the skin looks more even toned. It turns out that exfoliation is an important ritual that should not be missed. Did you know that exfoliate works to remove dead skin cells and can disguise acne scars? It's definitely magic! Put ULTIMA II Vital Radiance Foaming Exfoliator into your skincare routine. This helps renewal of dead skin cells because there are contents of BHA (Beta Hydroxy Acid), anti-oxidants, vitamins (A, C, E), and nutrients from seaweed. Use once a week to remove dead skin cells. Don't forget to give a gentle massage on your face when exfoliating. Relaxation obtained is able to smooth your blood circulation, you know. Healthy skin is not easy to get. Need commitment and process to be consistent. 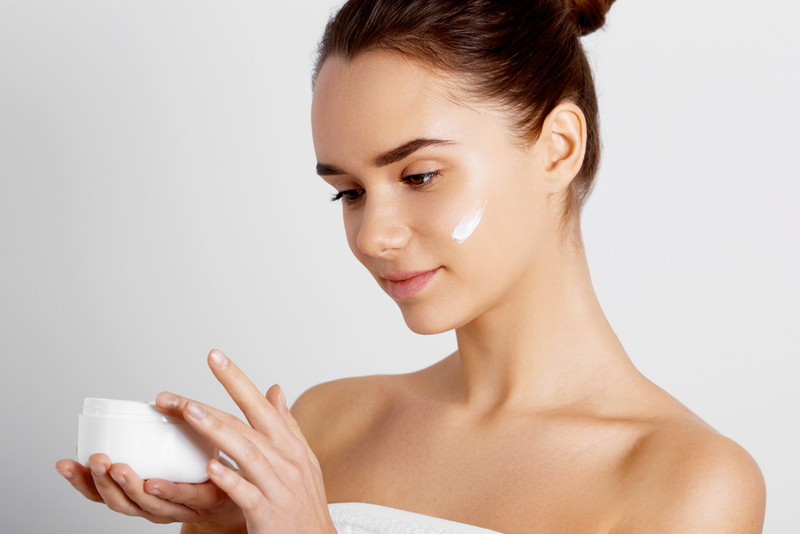 Skincare routines are essential for you, who have black stains. Combine serum and night cream for maximum results. Use ULTIMA II Clear White Supreme Face Essence in the morning and evening. This serum minimizes black spots and revitalizes facial skin. Then you can apply Clear White Supreme Enhancing Night Cream as a moisturizer the night before going to sleep. As long as you sleep, your skin will stay moist, and skin looks brighter. So, there are 3 ways to get rid of acne scars that you can apply every day. For maximum results, you need to do it every day, and the process of skin changes will be seen. Fighting, skincare first for our healthy and glowing skin ever!